Dr. David McDonald is a pediatric radiologist at Akron Children's Beeghly campus in Boardman, Ohio. The radiology department at Akron Children’s Beeghly campus has undergone a major renovation. There’s a new area dedicated for sedation services as well as an updated ultrasound scanning area. 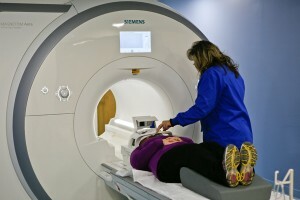 Most importantly, we’ve installed a new, top-of-the-line MRI.